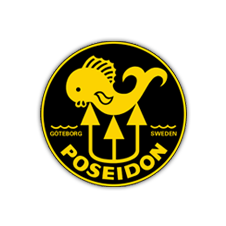 Poseidon's single tank wing is now available in the ONE design. Featured in 5 colors and made in CorduraTM 1000. Designed for beginners and for more experienced divers, the One Wing 50 is a sportwing with excellent volume increase and superior bladder deflation capabilities. When deflated, the ClamRetract system helps to reduce size and drag to the minimum. Four dump valves and an inflator with a stainless steel mechanism ensure inflation and deflation is always controlled and safe; and the shape of the bladder compensates for the weight of the tank when sub_ merged and gives you freedom to move in any direction. 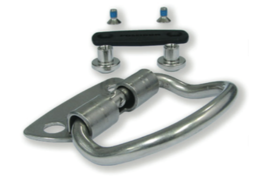 The narrow air passage behind the neck is designed not to impede head movement or foul regulators and hoses when inflated. The One Wing is made for equipment with a negative weight in water that does not exceed 19 kg (41.6 lbs) and has a lifting capacity of 225 N. It comes with a double, non_flex tank_band tank attachment system and can also be equipped with integrated weight pockets, accessory pockets, metal back plate, pinbolt kit and D_rings. The standard size has a waist belt with three rows of 40 cc holes; and the large size has six rows. 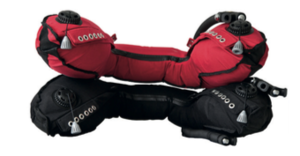 This is a superb high_performing harness with ergonomic properties developed from advanced backpacks, and a unique variety of adjustment options to optimize both fit and comfort. The One Harness is an enhanced version of the Besea Advanced harness. We have made the shoulder straps narrower and integrated the waist belts and lumbar support in to one belt with the same ergonomic advantages but a better fit. All Poseidon Wings wings can be mounted.